The deep sea fishing San Francisco has in store may be the only thing that can convince you to leave this city behind for a few hours. Just outside the Golden Gate Bridge sits one of the most productive fisheries on the west coast, the only place on these shores where you can find Salmon year-round. Here you can also catch more than 14 kinds of Rockfish, Lingcod, Albacore Tuna, and a host of other sought-after species. 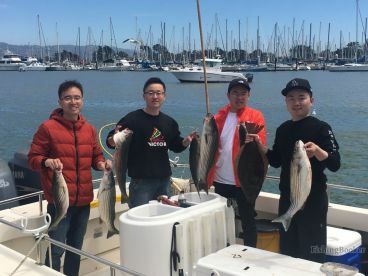 Deep sea fishing in the San Francisco Bay Area could take you anywhere from the coastline to the drop off some 30 miles offshore—and then some. Common points of departure include SF city, Emeryville, Richmond, Berkeley, and Sausalito. From there, you might head north to Point Reyes, west to the Farallon Islands, or south to Half Moon Bay. 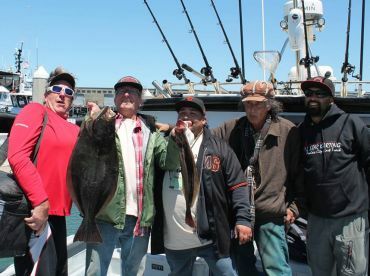 Most of the fish in and around San Francisco Bay are present throughout the year, but local fishing regulations make deep sea fishing available between April and December. For the widest variety and the biggest fish, plan to set sail sometime in late summer or fall. While you’re likely to see Chinook (King) Salmon in these waters year round, the season usually doesn’t open until April. At this time, you’ll find Salmon feeding on a variety of baitfish near the Farallon Islands, Pedro Point, the Deep Reef southwest of Half Moon Bay, and the Duxbury Reef off the shore of Marin. 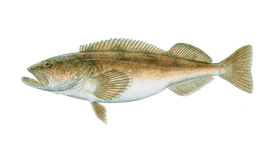 April also marks the beginning of the Rockfish and Lingcod seasons. 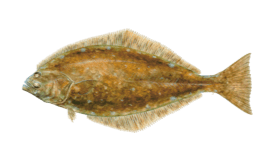 You’re likely to target these bottomfish near a variety of reefs offshore or along the coast. 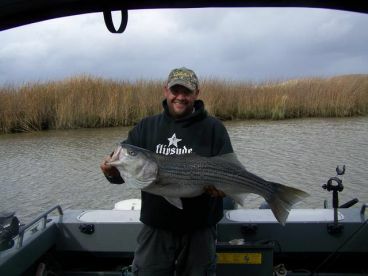 Fishing for these species picks up momentum in June, as Rockfish start to seek out shallower water. You’ll also spot Salmon moving inshore at this time, following baitfish into San Francisco Bay. Come fall, you’ll find many Salmon 10 miles west of the Golden Gate Bridge, and this is where you can catch some of the largest of the season (25-40 lbs). This time of year also sees the biggest Lingcod of the season near the Farallon Islands. 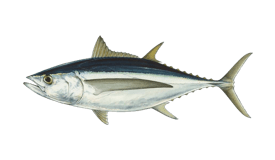 Albacore Tuna pass through with the blink of an eye between August and October. Starting in November, you may set traps for Dungeness Crab on your way offshore. You’re also likely to catch Halibut, Striped Bass, and a variety of Sharks at almost any time of year. Sturgeon are yet another common catch in these waters, but this fish is highly regulated and you can’t always keep it, depending on the size and where exactly you catch it. Early in the season, you can target Salmon offshore by trolling. As they move inshore by early summer, local anglers start mooching instead. This tactic is much like drift fishing, and involves holding the rod in your hands (unlike trolling) while keeping the bait in motion. 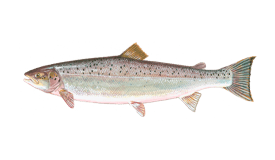 Salmon take to Shrimp, Squid, Sardines, and other small fish they commonly feed on. You will catch Rockfish and Lingcod by bottom fishing. Baitcasters are used for live bait (Anchovies, Mackerel) and frozen Squid. If fresh bait is unavailable, you can cast swimbaits with spinning gear. Targeting Rockfish in the deep waters offshore calls for heavy tackle. 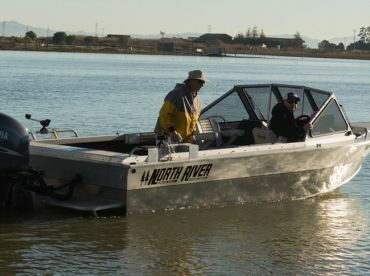 You can find private and open boat deep sea fishing charters throughout the San Francisco Bay Area. Half day trips (around 5 hours) typically cost $150 per person on an open boat charter and $750-$850 for a private charter. Full day trips are $1,150-$1,200 for a private charter, or $200-$250 per person on an open boat trip. 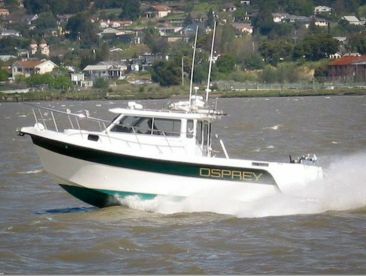 Full day trips last 8-10 hours and are generally recommended for Salmon and Rockfish excursions that will take you as far as the Farallon Islands (roughly 2 hours away).